What I love about using Korean cosmetics is they are cheap and not expensive but surely you will see a good result prior to using it. 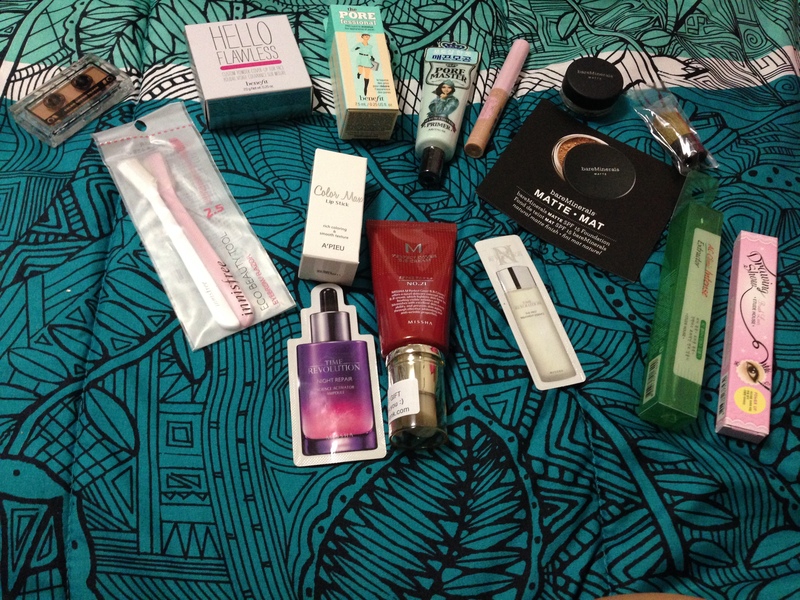 Sometimes western cosmetics I bought from Sephora are way too expensive that I can buy more Korean cosmetics for the same quality. So what I decided was to stick with Korea’s bb cream since their are made for Asian skin, which is thick and beige-y while I’m using Benefit’s powder foundation which makes a good coverage when used with Korean BB creams. When it comes to bronzers, I want a darker shade since I am a little dark complexioned. I prefer Benefit’s Hoola which is a little costly, buy people get to use what you pay for. Right now I am still in my journey to discover a Korean bronzer that is perfect for contouring. We all know that Koreans prefer blush ons than bronzers so it is a little hard to find a good one, although I will try The Face Shop’s Lovely Me: Ex You & Face Blusher #09 Cinnamon Dream soon. For lipstick, I don’t really mind what colour or brand it is, however I prefer a matte one from Mac.